and weight gain while increasing enjoyment. There was a time when holiday foods stood out as highlights in a year of relatively simpler fare. But in today's food environment, with its ready access to all sorts of treats, it's as if the holiday season has upped the ante. As a result, the holiday festivities can feel like a veritable minefield of opportunity to overindulge on less-than-healthful foods starting when the first Halloween candy appears on the shelves and wrapping up January 2—often with vows to start a new diet and lose weight. The holiday food environment can be especially daunting to patients who have a history of dieting or eating disorders, or who grapple with emotional or stress eating. Overindulging, real or perceived, can lead to guilt, remorse, further overeating, and possibly some extra pounds, which can in turn lead to attempts to diet in potentially unhealthful ways. Complicating matters is the fact that in many parts of the country the fall-winter holidays are accompanied by shorter daylight hours and the kind of weather that contributes to low mood and creates obstacles to physical activity. While peace on Earth is outside the dietitian's scope, helping patients find peace with food is not. Guiding clients in establishing mindful and intuitive eating skills can help them achieve nutritional and caloric balance during the holiday season while enhancing their enjoyment of holiday foods. Mindful and intuitive eating, on the other hand, can help patients avoid the "anything and everything goes" vacation mentality as well as the pendulum swing from restriction to excess. It can guide them to choose foods they truly want and leave the rest, ultimately increasing satisfaction. When patients give themselves permission to have—and enjoy—the pumpkin pie at Thanksgiving, they may be more likely to say "no thank you" to the store-bought sugar cookies in the break room. The Center for Mindful Eating, a member-supported nonprofit organization that helps both professionals and the public implement mindful eating practices, defines mindful eating as using all the senses to choose food that's both satisfying and nourishing, acknowledging responses to food (likes, dislikes, or neutral) without judgment, and becoming aware of physical hunger and satiety cues to guide decisions about when to begin and end eating.3 Similarly, intuitive eating is about tuning into—and trusting—what the body is saying about what and how much to eat, and how that feels physically and emotionally.4 These are practices that take time, patience, and persistence to cultivate, so turning patients into skilled mindful or intuitive eaters in the span of a few sessions isn't the goal, especially with those for whom these practices are foreign concepts. Elyse Resch, MS, RD, FADA, CEDRD, coauthor of Intuitive Eating: A Revolutionary Program That Works and a private practice nutrition counselor in Beverly Hills, California, says that for many patients, taking an intuitive eating approach is a paradigm shift from the typical approach of counting calories and watching fat or carbs. "The old stuff that they've done, it doesn't work at all," she says. "It takes a lot of time to fully trust their body signals." Food stress and weight worries tend to be heightened during the holidays, so quick tips to avoid holiday weight gain have appeal, and some of those tips may be related to mindful and intuitive eating, albeit in a superficial way. "Sometimes the media sells mindful eating like they do diets—as if it's a quick fix to holiday overeating," says Susan Albers, PsyD, a clinical psychologist at Cleveland Clinic and author of several books on mindful eating. "Mindful eating is something that you practice every day, whether it is a holiday or not." Minh-Hai Alex, MS, RD, CEDRD, owner of Mindful Nutrition in Seattle, says that the holidays are a more challenging time to start practicing mindful and intuitive eating. "More things are competing for our clients' attention, and feeling rushed and more stressed makes it harder to pause and notice internal cues," she says. That said, any increase in awareness during the holidays is beneficial, says Michelle May, MD, author of Eat What You Love, Love What You Eat: A Mindful Eating Program to Break Your Eat-Repent-Repeat Cycle and founder of the Am I Hungry? mindful eating workshops. "Since the holidays are difficult for people who struggle with emotional eating or yo-yo dieting, they may be more receptive to learning a new way to approach their eating." One way dietitians can help patients who are used to denying themselves favorite foods—or eating them then feeling guilty about it—is to help them pull back from the restriction-overeating cycle by giving themselves permission to mindfully eat holiday favorites. May says this takes the power back from the food and reduces the guilt that can be a powerful trigger for overeating. "It's important to not make holiday foods off limits—because the allure of forbidden fruit will only get stronger," says Evelyn Tribole, MS, RD, coauthor of Intuitive Eating and a private practice nutrition therapist in Newport Beach, California. "Otherwise, when you finally eat your favorite holiday treat, it won't be one polite serving of a cookie or cake. If you think you will never eat this food again, it becomes an overeating food feast." Alex says she finds that when patients who are already cultivating mindful and intuitive eating habits feel anxious about the holidays, they may be tempted to create food rules in an attempt to manage that anxiety—a strategy that tends to backfire. "It creates tension to try to adhere to a lot of food rules, which inevitably leads to 'what the heck' eating to temporarily relieve that tension," she says. For patients who are new to intuitive and mindful eating, the lure of increased satisfaction can be a point of entry. Resch says that the best way for patients to enjoy food during the holidays is to neither restrict nor deprive. "If you get into that mode, 'I better eat it now because I won't have it later,' you don't fully enjoy it," she says. "Who wouldn't want to enjoy food more?" May says that the satisfaction factor can make the holidays a good time to practice mindful eating skills because there are so many opportunities for patients to enjoy foods they love. "Why bother with store-bought cookies or dried-out fudge when delicious food is abundant?" Alex agrees that maximizing enjoyment is a better motivator than any "should," and that maximizing enjoyment could include choosing foods that taste good and feel good to the body. She says it can be helpful for clients to take a moment to reflect on their favorite foods during the holidays—and make room for those foods. Alternatively, they can consider which dishes taste the best at each event, and make room for those—although she reminds patients that some dishes look better than they taste. Part of satisfaction stems from being hungry—because it helps food tastes better—but not too hungry. Honoring hunger is a core principle of intuitive eating, and staying nourished throughout the day is essential because, as Resch points out, "If you have primal hunger when you walk into an event, you are not going to fully enjoy the food." That's for physiological, neurological, and biochemical reasons. "Some people make the mistake of trying to compensate for special holiday treats by skipping lunch or dinner, only to arrive to a party too hungry," Tribole says. "When you combine being too hungry with delicious holiday food, it makes it more likely that you will overeat." Alex points out that chaotic, overscheduled days often lead to chaotic eating—and even overeating due to ravenous hunger—so while scheduling regular meals and snacks to avoid long gaps without eating may not feel intuitive, it's important for self-care. "I explain to clients that it's often more challenging to notice subtle hunger and fullness cues if they're overscheduled and stressed," she says. It's easier for patients to eat intuitively and mindfully when they're tending to their mental and emotional states; this is why self-care is so vital. The holiday season is supposed to be joyful, but there are many stressors and emotional triggers that can cause even experienced intuitive eaters to struggle, Resch says, making it a good time to take stock of emotional coping mechanisms. 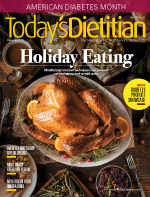 "Food should not be the focus of how you are going to get through the holidays," she says. Self-care is part of the recommendations Tribole routinely gives her patients. "Remember to take care of yourself during the holidays—it's stressful for many people, between juggling busy schedules, shopping, and more social obligations," she suggests. "Be sure to take time to engage in physical activities that you enjoy and get plenty of sleep. Sleep deprivation interferes with hunger and fullness cues." While self-care is critical, fitting it in to an already packed day can feel stressful. This is one time when practicality wins over perfectionism. Or, as Alex puts it, "There's the ideal self-care list, and there's the minimum requirements to keep your sanity." She might ask clients to name their top one to three self-care priorities, which often includes some form of stillness—perhaps journaling, a bath, or time with nature or in meditation. "When lots of things are competing for attention, prioritizing some stillness can help clients stay connected to themselves, and attuned to their bodies' needs," she says. Albers says that even the most mindful of eaters often struggle during the holidays. "Most of my clients indicate that the 3 S's—stress, social eating, and schedule overload—[create] the perfect storm that leads to overeating," she says. "These make mindful eating more difficult and require being even more attentive to your hunger, stress triggers, and social commitments." Permission to eat and attunement to physical and emotional sensations during and after eating are two intuitive eating principles that go hand in hand, and they also have corollaries in mindful eating. "Instead of trying to follow predetermined diet rules, mindful eating is eating with intention and attention—or purpose and awareness," May says. "Set your intention to feel better when you're done than you did when you started, then eat with attention to your food and your body." As much as coaches help athletes mentally prepare for sports-related scenarios, dietitians can help their patients mentally prepare for challenging food-related scenarios. In fact, rehearsal and preparation will be covered in the intuitive eating workbook that Resch and Tribole will be publishing soon. Resch suggests asking patients "How would you like to enjoy the holiday?" and then guiding them mentally through a food event: "Spend some time mentally being there. Imagine yourself enjoying food and walking away not being stuffed. Imagine how it would feel to be stuffed, and do you want to feel that way?" This sort of rehearsal is also helpful for dealing with food pushers, which can be a holiday trouble zone even for practiced intuitive and mindful eaters. Tribole says some people derive an ego boost from preparing a special dish and may pressure others to eat it. She tells her patients, "It isn't your responsibility to make someone happy by overeating, even if it took hours to prepare a specialty holiday dish. You may need to practice politely saying, 'No thank you.'" Alex says that "No thank you," is more challenging for clients with people-pleasing tendencies or less-than-ideal boundaries. "I help these clients brainstorm and rehearse responses they can actually see themselves saying to well-intentioned friends. Examples include, 'This is delicious, but I'm full. I'd love to take some leftovers,' or simply, 'No thank you'—even if they have to repeat it." • At parties or other holiday gatherings, sit or stand where extra food isn't constantly in the line of sight. • At home, have people serve themselves from the kitchen or a sideboard, not the dining table. • Since resigning from the Clean Plate Club is hard, use smaller plates (and bowls and glasses) instead. • At home, don't leave mindless food triggers in sight. For example, bowls of candy on the end table or plates of cookies on the kitchen counter. When patients eat holiday foods with 100% awareness—instead of mindlessly—they maximize their enjoyment and their eating experience, Tribole says. Some questions she poses to her patients include, "Will you really enjoy eating while talking to other people? When you take your first bite—savor the appearance, aroma, texture, and taste. Does it taste as good as you expected?" Helping patients practice setting boundaries, prioritizing self-care, and making room for favorite foods can help set the stage for further cultivating mindful and intuitive eating skills after the holidays. When people work on intuitive eating all the time, "The holidays and vacations end up being a lot more doable," Resch says. Of course, for dietitians to effectively counsel patients on how to eat intuitively and mindfully, they need to have personal and professional experience with those modalities. Resch and Tribole offer professional training leading to certification as an intuitive eating counselor, and there are various mindfulness-based professional trainings available, including Mindfulness-Based Eating Awareness Training and Mindfulness-Based Stress Reduction. In addition, The Center for Mindful Eating (tcme.org) offers teleseminars and print resources for professionals. 1. Stice E. A prospective test of the dual-pathway model of bulimic pathology: mediating effects of dieting and negative affect. J Abnorm Psychol. 2001;110(1):124-135. 2. Stice E, Burger K, Yokum S. Caloric deprivation increases responsivity of attention and reward brain regions to intake, anticipated intake, and images of palatable foods. Neuroimage. 2013;67:322-330. 4. Tribole E, Resch E. Intuitive Eating: A Revolutionary Program That Works. 3rd ed. New York, NY: St. Martin's Press; 2012. 5. Creswell JD. Mindfulness interventions [published online September 28, 2016]. Annu Rev Psychol. doi: 10.1146/annurev-psych-042716-051139. 6. Godfrey KM, Gallo LC, Afari N. Mindfulness-based interventions for binge eating: a systematic review and meta-analysis. J Behav Med. 2015;38(2):348-362. 7. Mason AE, Epel ES, Aschbacher K, et al. Reduced reward-driven eating accounts for the impact of a mindfulness-based diet and exercise intervention on weight loss: data from the SHINE randomized controlled trial. Appetite. 2016;100:86-93. 8. Kristeller JL, Epel E. Mindful eating and mindless eating: the science and the practice. In: Ie A, Ngnoumen CT, Langer EJ, eds. The Wiley Blackwell Handbook of Mindfulness. Malden, MA: Wiley-Blackwell; 2014:913-933. The following tips are based on the intuitive eating and mindful eating concepts from Elyse Resch, MS, RD, FADA, CEDRD, coauthor of Intuitive Eating: A Revolutionary Program That Works and a private practice nutrition counselor in Beverly Hills, California; Minh-Hai Alex, MS, RD, CEDRD, owner of Mindful Nutrition in Seattle; Michelle May, MD, author of Eat What You Love, Love What You Eat: A Mindful Eating Program to Break Your Eat-Repent-Repeat Cycle and founder of the Am I Hungry? mindful eating workshops; and Evelyn Tribole, MS, RD, coauthor of Intuitive Eating: A Revolutionary Program That Works and a private practice nutrition therapist in Newport Beach, California. 1. Give clients permission to eat their favorite foods. This will help them take back the power from the food, reduce guilt, and avoid triggers to overeat. 2. Don't restrict or deprive oneself. This is the best way for clients to enjoy food during the holidays. 3. Choose foods that taste good to maximize enjoyment. 4. Determine the foods you like most and taste the best at each event, and make room for those foods. 5. Stay nourished throughout the day to avoid going to parties hungry. 6. Schedule regular meals and snacks to prevent long gaps without eating to prevent being overly hungry. 7. Suggest clients engage in physical activities they enjoy and get plenty of sleep. Sleep deprivation interferes with hunger and fullness cues. 8. Ask clients to name their top three self-care priorities, which often involve personal quiet time, such as journaling, taking a bath, enjoying nature, or meditating. Prioritizing personal time enables clients to stay connected to themselves and attuned to their bodily needs. 9. Encourage patients to eat with intention and attention to their food and body. Being attune to physical and emotional sensations during and after eating are two intuitive eating principles that go hand in hand. 10. Have clients brainstorm and rehearse responses to friends and family members who continue offering them food to eat when they're full. They can say, "This is delicious, but I'm full. I'd love to take some leftovers," or simply, "No thank you," even if they have to repeat themselves.